Mobile work continues to evolve. Your organization must keep up with the demands of its mobile workforce. 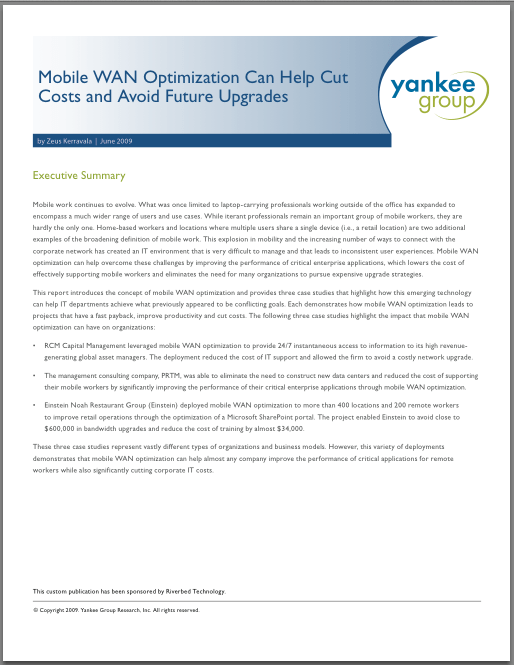 This report introduces the concept of mobile WAN optimization and provides three case studies including RCM, PRTM and Einstein that highlight how this emerging technology can help IT departments achieve what previously appeared to be conflicting goals.